There seems to be forces, or more like elements, that if not seeking the destruction of the GOP, they are certainly enabling the destruction of the GOP. It’s not just one thing, or one group, it seems to be coming from many directions, and from people who claim to be Republicans and conservatives. 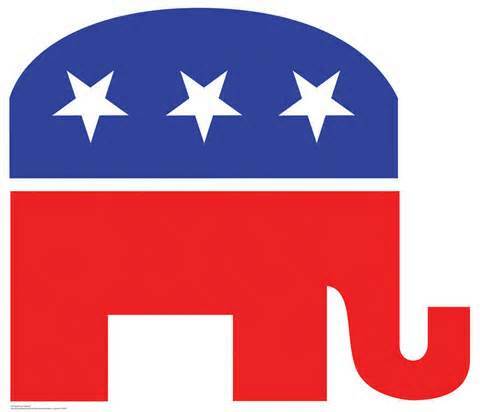 RINO is an often used phrase, and can be used to describe many factions within the GOP. It originated as a term to describe the more moderate within the Republican Party. I happen to believe now that there are many forms of RINOs, including so-called TEA people who are more libertarian than Republican. This group has used the infrastructure of the GOP to move their agenda forward. Unfortunately it is a narrow-minded agenda. They seem to focus mostly on guns and social issues. They all too often hide their true feelings behind their protestation of their faith. They wear their faith on their sleeve, they use it as a shield against criticism. If you criticize their politics, then you are accused of criticizing their faith. As a Christian I am truly troubled by the fact that this group uses their Christian faith to condemn others for their political beliefs. I have no problem with criticizing people for their political views, if I feel they are mistaken, I do however have a real problem with people who act as if they invented God to do so. This group has done more damage to the GOP than any Democrat. Not because they are Christian, but because so many are hypocrites. And the ones who are not out-and-out hypocrites, refuse to condemn those that are, and thus become hypocrites themselves by omission. We see, so-called political leaders, trading on their faith to gain the support of the so-called base of the GOP and conservative right. They will talk of morals and principles, they will tell you that the opposition is evil and sinful. This may be true, but it is not for man to judge man, that is for God. So what happens when these “righteous” members of the Republican Party insist on making their politics about their faith, their morals, their principles? Well, like the fall of man, they have set themselves up for a fall. We are imperfect beings, and so, when we dare to judge others, we are destined to be judged. How often have we seen, these so-called righteous leaders and celebrity Christians, turn out to be sexual deviants? Child molesters, adulterers? Celebrities like Josh Duggar whom the Christian right held up as a model of purity and an example of the Christian faith, turns out to be both a child molester and adulterer. Right here in Sussex County, Delaware we have examples of this type of hypocrisy. We saw Eric Bodenweiser run a primary campaign based on his interpretation of Christian values. Only to have him accused and then sentenced for molesting a child. We have a former County Councilman, Vance Phillips, accused and awaiting a civil case upon accusations of sexual abuse of an eighteen year old girl, while he was married. It doesn’t end there. Even though Eric Bodenweiser admitted to things on the stand that any good person would find heinous, there are people within the Republican Party that still support him. Elected officials such as Register of Wills Cindy Green, and Councilman Sam Wilson. There are members within the Sussex County GOP Committee that would welcome him back with open arms, who would tell you that he was framed, even after the things that came out during his trial. These are many of the same people who are so enamored with Donald Trump. Which is truly ironic considering Trump’s history of womanizing and infidelities, or maybe not. But these people like what he has to say. You know, how he attacks women, how he attacks people who don’t look like him. 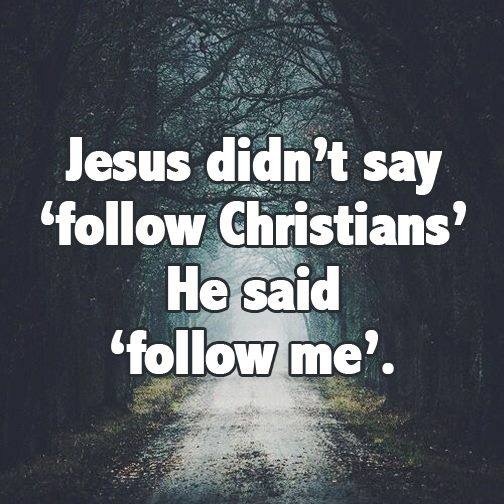 Donald Trump it is said, says what we are all thinking, well friends, I don’t know about you, but if you are thinking what Trump is saying, I am not sure how you recon that with Christianity. Trump is playing to the most base feelings of the most uninformed people of our society. People who hate others for just being born. Hate the immigrants, hate women, hate Obama, hate the wealthy, now that is ironic, hate, hate, hate! In their world, you can’t jus disagree with someone, you have to hate them. 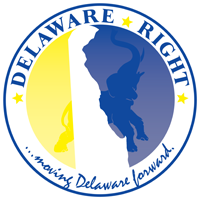 And again, right here in Delaware we have a “candidate” for governor, Lacey Lafferty who actually likens herself to Trump, because she “speaks her mind”, she “shoots from the hip”. When in reality, all Lafferty and Trump really do, is make empty hateful remarks that ramp up people who know nothing but hate. They fear people they don’t understand, whether it is immigrants, or homosexuals. These so-called Christians will tell you that we must punish these people, that good Christians will not tolerate such people. Yet they will turn a blind eye towards people like Duggar and Bodenweiser. So what will cause the destruction of the GOP? 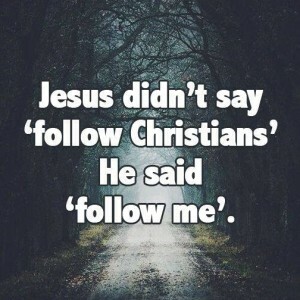 Not Christianity, not Christians. It is hypocrites who will destroy the GOP. The people who demand the right to practice their faith as they see fit, yet attack Muslims. If everyone would simply believe as they see fit, and allow other to do the same, be they Christians, Jews, and yes even atheist, then there would be no need for government to be involved in faith in any manner. If logical, sensible Republicans do not begin to speak out against the shouting God Squad who by mere force of will and angry words, silence all opposition, not with intellect nor logic, nor even the Christian love we were instructed to share with all, but the very opposite, then the GOP is doomed for destruction. 10 Comments on "The Destruction of the GOP"
You’re much too kind, Frank. I liken many you mentioned in the article to false prophets. Anything they touch withers and dies. I fear the Grand Old Party will be their next victim. I wouldn’t necessarily lump Trump in with the average champions of the religious right. Yes, he is very bellicose and animated like an Eric Bodenwieser, and he draws in the nut jobs like a Christine O’Donnell, but Trump is different. Trump is an active world business leader. He has experience haggling and dealing with foreign countries, and he is informing the voters that he can get a better deal than we have been getting. First of all, the. GOP today holds more state and federal legislative seats and governorships than at any time since the 1920’s. If this is failure, give me more. Secondly, if the GOP runs the candidate the PMSNBC crowd “fears,” as they did in ’12, they’ll lose. The left understands history- in presidential politics, GOP conservatives usually win, and GOP moderates usually lose. A candidate who can’t carry the base, can’t win. Energize the base, and the middle will follow. FBH, Trump may not be one of the fringe personally, but as a candidate he is plying to and on their fears. Rick, are you saying that a majority of Republicans holding office are what you would qualify as TEA types, or even right of center? And how do you quantify that? Where is the concern for your own damn social security and medicare? How about living wage jobs for your kids? Think obsessing on xenophobia will help you? As anyone who follows politics knows, there are all kinds of “types.” There is a big difference between Tom Cotton and Lindsey (Mr. Zero Percent) Graham. What the right did do was clearly delineate the philosophical difference between “progressives” and normal Americans. In the current GOP field, Trump, Walker, Rubio, Carson and Cruz would all garner “TEA Party” support, as well as the support of the general Republican electorate. Bush and his cronies are going to try to buy the nomination. If they are successful, we can look forward to four to eight more years of a Socialist-Democrat administration. So, if you are claiming that the far right of the party is responsible for this success, then again, how do you qualify each person, and how many of those now elected qualify? Candidates are not the question. “Conservatives” are not really about actually conserving anything. Ever since Saint Ronnie, Social Security, Medicare and living wage jobs to a “conservative” are all Big Bad Gubmint.